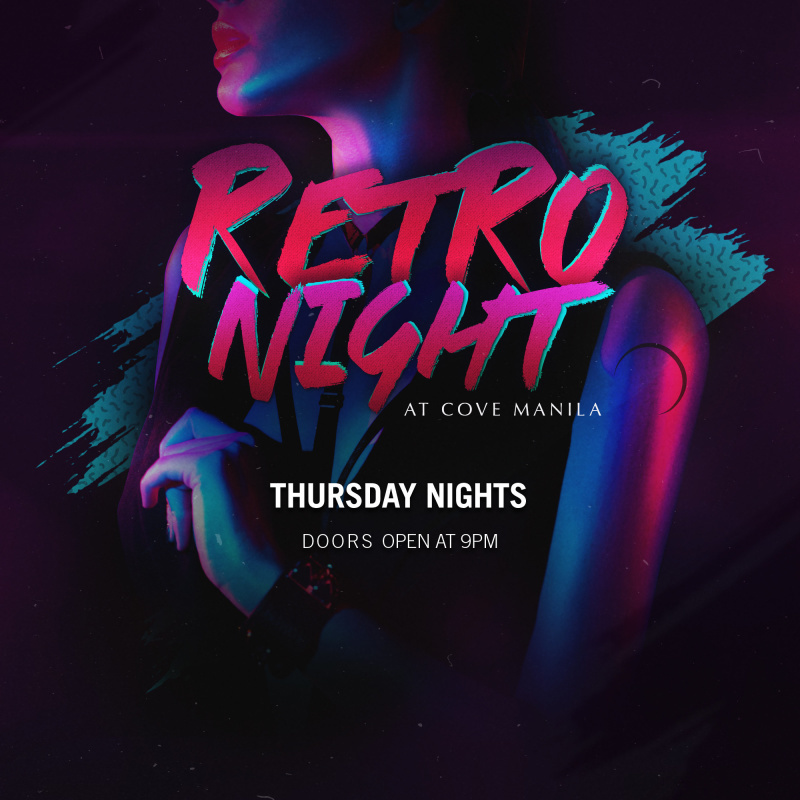 We're taking you back, old school every Thursday at Retro Nights at Cove Manila! Featuring all your favorite hits from the 70's all the way to the 2000's. Trust us, you've never experienced a Throwback Thursday like this before. Click on "Tables" to make a VIP Table Reservation. Call us at 555-5757 for inquiries.